"July 2015 marks one year since I finished my treatment for breast cancer and I am proud to have completed my Moving For Life Certified Instructor (MFLCI) training in commemoration. I became an MFL instructor to celebrate my survival and to help others heal through conscious awareness of their mind and moving body." Ana Leon Bella has worked in movement for over 10 years as a dancer and fitness expert. She is a Laban Certified Movement Analyst (CMA), a Registered Somatic Movement Therapist/Educator (RSMT/E) and now a Moving For Life Certified Instructor (MFLCI). She holds a Masters degree in Dance Education from New York University and a Bachelor of Arts from Cornell University. Ana is also the special programs coordinator at the Laban Bartenieff Institute of Movement Studies (LIMS®) where she develops programming, teaches and coordinates the introductory workshop series. Ana is fluent in Spanish, Italian and movement. 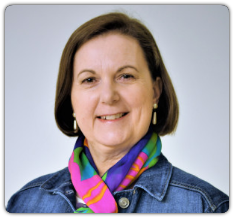 Dana Davison is a registered somatic movement therapist and educator (RSMT/RSME), certified Dynamic Embodiment® practitioner and teacher of Moving for Life® and BodyMind Dancing®. She studied classical ballet with Sher Marie Farrell (Farrell Ballet Theatre) and Sir William Martin-Viscount (Fort Worth City Ballet) before graduating from University of Texas in Russian Studies and Journalism. 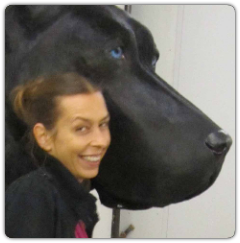 In 2010, serendipity led her to an intensive three-year training with Dr. Martha Eddy. 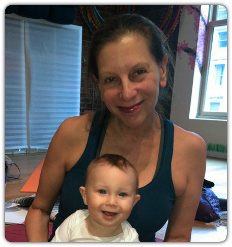 She teaches somatic movement classes at BAX-Brooklyn Arts Exchange, Slope Wellness and Gilda's Club, as well as offering private sessions. 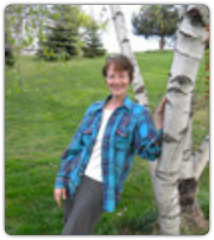 Bev is thrilled to offer the healing power of Moving For Life to the Mid-West. Movement is Life! 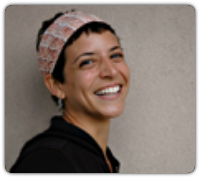 Sherry Greenspan is a Registered Somatic Movement Therapist and Educator, Pilates Practitioner, Yoga, and dance instructor as well as a dancer/choreographer/vocalist. She has studied extensively and worked with many well-known Pilates practitioners and has been studying, performing and teaching in NYC and Philadelphia for 25 years. "Sharing a movement experience with inspiring folks who show up in the spirit of community and individual health and wellness is deeply satisfying." Sherry is the founder of Eureka Movement Wellness Center in Colts Neck, NJ, where she teaches Moving For Life and many other classes. Catherine Gross, a life-long student of yoga, t’ai chi and dance, has always valued movement as an antidote to office life during her career as a fundraiser and archival consultant. 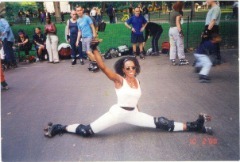 She has taught NIA (dance-based exercise) at health clubs in Queens and upstate New York. She is currently teaching Moving For Life studying somatic movement therapy, and working as a consultant for the Queens Library. Yoo Mi Kim was born in South Korea, and received her Ph.D. in Dance from the renowned Sungkyunkwan University. 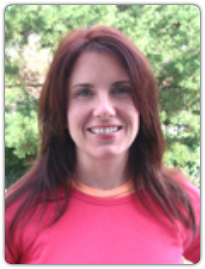 She is a Registered Somatic Educator and therapist who specializes in Pilates and Barre. She also is a Certified Movement Analyst (CMA), and has worked with Laban/Bartenieff Institute of Movement Studies (LIMS) as part of its teaching assistant faculty. Yoo Mi also serves as a Cancer Exercise Specialist at Moving For Life. Throughout her career, which involved both performing and teaching, she was most passionate about assessing physical movements and finding the solutions to dancer injuries. She used various tools and methods in achieving such goals, and Pilates is one of her best and most efficient aids. She pays attention to every detail in one's bodily movement and helps each and every student learn more about their own body and mind. Jyothi Larson has been practicing yoga for over 40 years, and has been teaching yoga since 1992. She is a certified Integral Yoga teacher, specializing in pre-natal and postpartum, restorative and therapeutic yoga. Jyothi teaches at Integral Yoga Institute, Prenatal Yoga Center and Karma Kids Yoga. She lectures and facilitates classes at Mount Sinai Beth Israel Medical Center for cardiac and pulmonary patients. 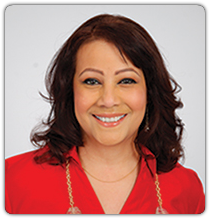 Jyothi is an Urban Zen Integrative Therapist, Certified Personal Trainer, Tai Chi Easy Practice Leader, Interfaith Minister, and now a Moving For Life Certified Instructor. Author of “Yoga Mom Buddha Baby” (Bantam 2002), Jyothi teaches her postpartum yoga training nationally and internationally. Jyothi loves that her students range in age from in-utero to over 90 years, and believes movement benefits everyone. 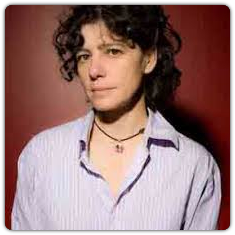 Originally from France and trained in Butoh and visual arts, Florence Poulain developed our first program in Kingston, NY. She is a breast cancer survivor herself and received the Diana Domaracki-Kisto Scholarship in 2014 to spearhead a new series of classes on Staten Island. A woman of countless talents and infinite compassion, she makes an incredible addition to our team of instructors. When not teaching MFL classes, Florence can be found performing and filming. Elena (bilingual, English and Spanish) is a certified teacher member of the Alexander Technique International, a Registered Somatic Movement Educator, and a certified teacher of dance and yoga for over 20 years of experience. She also offers private classes, groups and workshops on the Alexander Technique, Dance, and Yoga and their integration in Manhattan and Brooklyn. Karen Eubanks is a certified New York City Department of Education dance educator, she has served as a teaching artist with New York Ballet Dance Education Department for five years. She has also toured locally and internationally in musical theatre and industrials as a dancer, singer, actress, choreographer. Ms. Eubanks is completing a Masters degree in Dance and Dance Education from Teachers College, Columbia University, and has a degree in Dance from Sarah Lawrence College. "MFL is the program I wish I had when I was diagnosed with breast cancer." 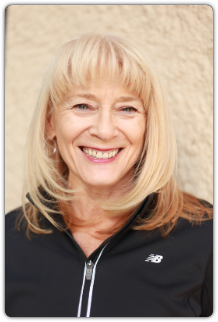 Nancy is a certified personal trainer, group exercise instructor, and Public Health Physical Activity Specialist, with a master's degree in public health with a specialty in community health education. She has taught her Nancercize Outdoor Fitness Classes since 2004. She is the prolific author of 25 books including, "Coping with Chemotherapy" and, most recently, "101 Things to Do on a Park Bench," a collection of exercises designed to safely and effectively improve strength, flexibility, balance, and endurance. Ivis is a native New Yorker and breast cancer survivor who is the Director of Programming for SHARE, an organization that provides self-help to breast and ovarian cancer survivors and their families. She was featured in the Lifetime documentary "Say it, Fight it, Cure it" directed by Lee Grant. In June of 1997 Ms. Febus-Sampayo participated in the first Breast Cancer Survivor Forum held in the White House with Vice President Al Gore and Mrs. Tipper Gore to help end the stigma of cancer in Hispanic communities. Melinda is a Certified Personal Trainer (NASM), Certified Pilates Instructor (Turning Point Studios), and now a Somatic Movement Therapist/Educator. She specializes in working educationally and therapeutically with a wide range of people recovering from illness, injury, childbirth, and surgery. She is also a dancer, musician, choreographer and new mother! Shane is a Somatic Movement Therapist / Educator, Pilates Instructor, CranioSacral Therapist and dancer. Her education also includes Body-Mind Centering(TM), Laban/Bartenieff, Authentic Movement, Yoga, Hakomi, and dance improvisation. She is interested in introducing movement as a means for self-empowerment. She believes that peace begins within us and that somatic work helps people make optimal choices on a personal, community, and global level. 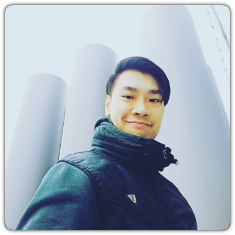 Vincent Yong is an award-winning dancer and choreographer who performed internationally. He has now embarked on the somatic approach in teaching dance and movement. A Certified Movement Analyst (CMA) and Registered Somatic Movement Educator and Therapist, Vincent has worked with ministries, corporate to individual clientele over the past 15 years on transformation through the body and life. He is also a Master Neuro-linguistic Programming and Time Line Therapy practitioner. He is currently editing his first book "Flow-The Art of Creating AbunDance".